A common worry for many homeschooling parents -- particularly those new to homeschooling -- is, "How do I know I'm doing enough?" Most of the time, that's an unfounded concern, but there are ways to reassure yourself or identify the areas that may need to be bolstered. If you use workbooks or a boxed curriculum, it’s easy to see if your child is doing enough as determined by the publisher. Generally, this type of curriculum is arranged into daily lessons or includes daily lesson plans. Most curriculum publishers include enough material to cover a typical 36-week school schedule. If daily lesson plans aren't included, you can divide the number of pages, chapters, or units by 36 weeks to determine what needs to be done weekly to complete the entire curriculum in one year. The problem with that plan is that it doesn’t take into account a different schedule or days/weeks missed for co-op, field trips, or state-mandated testing. Don't stress if it becomes clear that you won’t complete the entire book. Traditional schools often have some unfinished chapters at the end of the year. 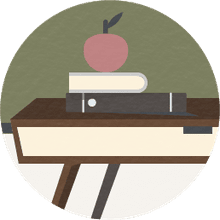 A typical course of study guide provides a general guideline for what you might expect children to be learning at each grade level. While it doesn’t provide day-to-day lesson guides, it can be reassuring to know what topics you may wish to cover in your homeschool. It's good practice to check a typical course of study guide at the end of the year just to see if there is anything important you may have missed. You may be surprised to discover that you've taught most of the suggested topics without purposely choosing to do so just by following your children’s interests. Use your child as your guide. What is his attitude toward his schoolwork? Does he appear frustrated? Bored? How long does it take her to finish her work? Does it seem too difficult, too easy, or does it provide just enough challenge to keep her engaged? A daily homeschool schedule consists of planning out what you feel is an appropriate amount of schoolwork for your children each day. If they work diligently and finish early, they'll have earned the extra free time. If they dawdle and it takes them all day, they’re choosing to cut into their free time. There may be times when you can tell that it's taking them longer than usual to complete their work not because they are dawdling, but because they need help understanding a difficult concept. There will also be times when you can tell that they are finishing too quickly because the work is too easy. If you’re a new homeschooling parent, it may be difficult to tell the difference. Don’t stress. Spend some time observing your child. You may have a struggling learner who needs to slow down or a gifted learner who needs a greater challenge. What is too much for one student may not be enough for another, so don’t rely on arbitrary guidelines, such as the curriculum publisher’s schedule or a typical course of study. Those are tools, but they should never be your taskmaster. This one can be tricky because the other homeschool parents are not your children’s parents. Their children may learn differently than yours, their homeschooling style may be different from yours, and their expectations for their children may be different than yours for your children. With that disclaimer in mind, it can be helpful to know how much other homeschooling families are doing each day, particularly if you’re new to homeschooling and still adjusting to the fact that homeschooling families can often cover more material in less time than would be expected in a traditional classroom setting due to the ability to work one-on-one with your children. In this area, it often helps to think of the "three bears" analogy. It may seem that one family is doing too much and one isn’t doing enough (in your opinion), but knowing what others are doing can give you a starting point for tweaking your schedule to find the level of daily work that’s just right for your family. Many states require regular standardized testing for homeschoolers and, even in those that don't, some families like to utilize these tests to ensure that their children are progressing. Instead, view testing as a tool to measure progress from year to year and to uncover areas that you may have missed and those that need to be shored up. It's not uncommon to wonder if you're doing enough in your homeschool. Use these tools to reassure yourself or discover areas in which you may need to make adjustments.